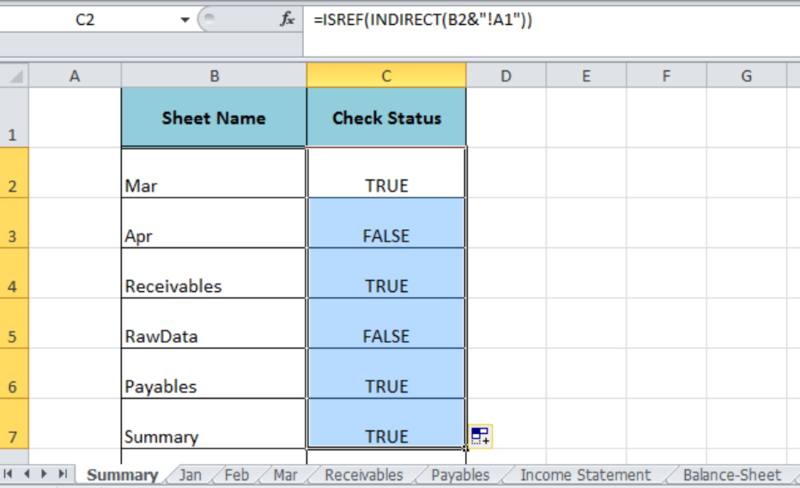 In order to check whether a certain worksheet name exists in a workbook or not, we can perform this check with the help of the Excel ISREFand INDIRECT functions. This article demonstrates how to perform this. 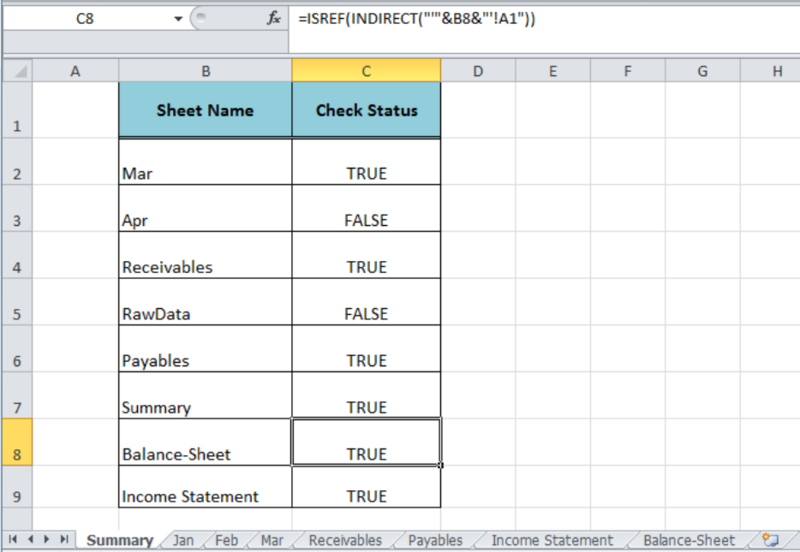 The Excel ISREF function checks whether a value is a reference and returns TRUE or FALSE and the INDIRECT function returns the reference specified by a text string. 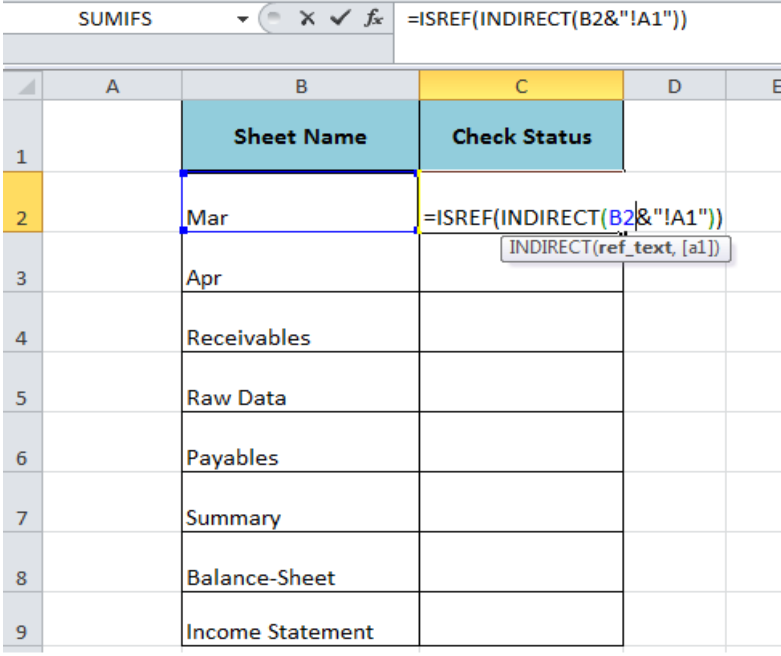 In this formula, we can supply the worksheet name as a text value or cell reference and create a full reference of the worksheet name we combine it with an exclamation mark and a general cell reference, such as “!A1”, using the Ampersand symbol (&). 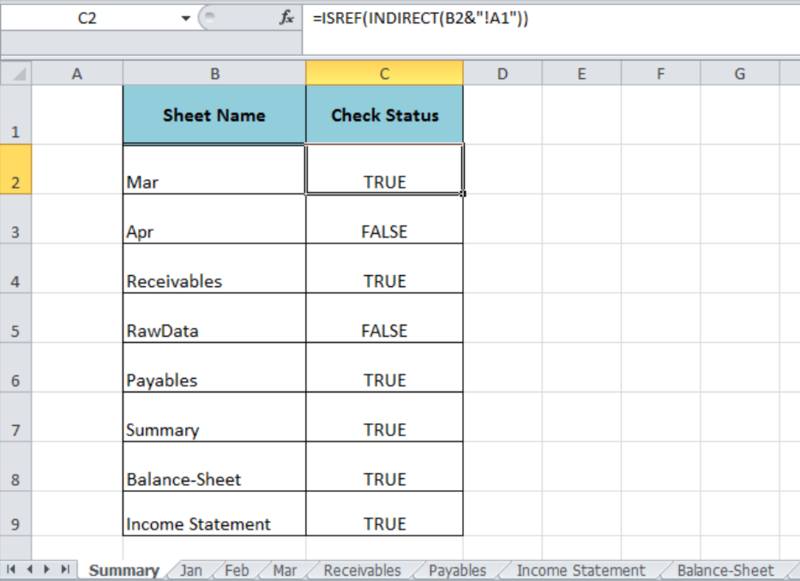 Copy down this formula to return the results for all the listed names of worksheets. Hello, I have a list of value from highest to lowest with different names next to the values. When i do a vlookup of duplicate values i get the same name. Is it possible to lookup duplicate values and if a name already exists in the worksheet it goes to the next name in the report? Need a formula in cell J14 of the StudentReport worksheet that searches a table with 2 columns (student names and assessment count) and returns the name of student with the fewest assessments (lowest assessment count). If a tie for the fewest assessments exists, it just needs to return one of these names. I cannot "copy" my excel sheet - it says "Name already exists on destination sheet" and it won't allow me to come out of excel or do anything with it. 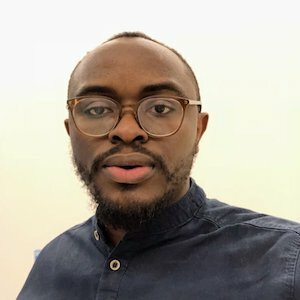 WHEN USING MOVE OR COPY FUNCTION FOR CREATING A COPY OF A PAGE I GET A MESSAGE "A FORMULA OR SHEET YOU WANT TO MOVE OR COPY CONTAINS THE NAME '_BU65999' WHICH ALREADY EXISTS ON THE DESTINATION WORKSHEET. Hello, I have a list of values from highest to lowest with different names next to the values. 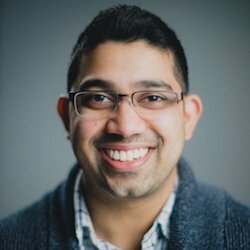 When i do a vlookup of duplicate values i get the same name. Is it possible to lookup duplicate values and if a name already exists in the worksheet it goes to the next name in the report?